The Schlobohm Houses complex, located in the downtown area, consists of eight elevated buildings. Each building is eight-stories, and is easily accessible to public transportation, medical services, restaurants, shopping and places of worship. The complex has one-bedroom to four-bedroom sized units, and there are multiple Handicap Accessible units on the property. The Schlobohm Houses complex has a community room, a laundry room, an outside recreational area, and on-site parking. All units are cable and Verizon Fios ready. The property is inside a gated community that offers controlled key access and a 24 hour security service. Available resident services include an affordable afterschool program and a summer camp program. 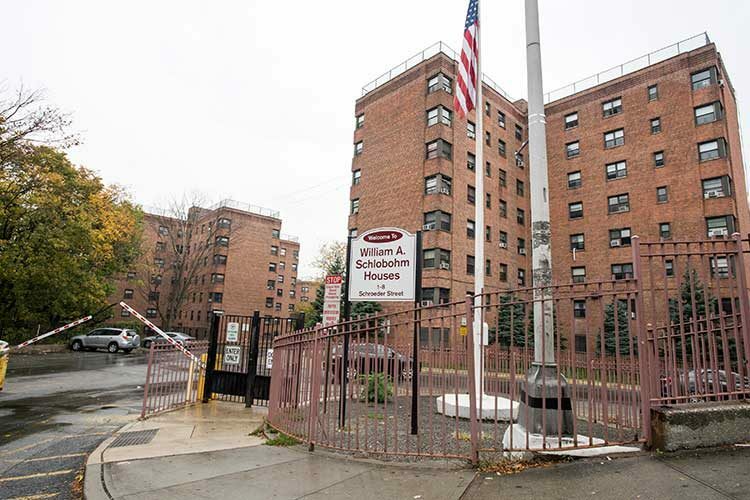 The site also offers a free monthly food pantry and supportive services referrals are available through a collaboration with The Family Service Society for the City of Yonkers.